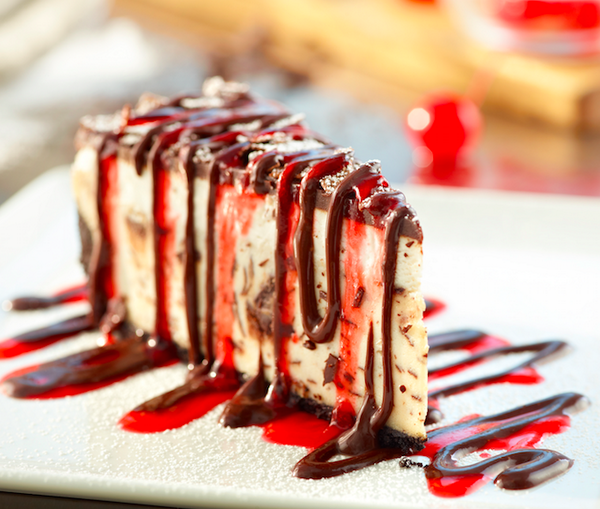 Nothing says comfort more than a decadent dessert and some retail therapy. Rich and creamy cheesecake with chocolate chunks layered with a white chocolate cherry mousse, all atop a chocolate crumb crust. G and I often say, we should just get a dessert. By the time we finish our lunches we’re too full for a dessert. Since we both needed some true comfort yesterday, we indulged ourselves. Coffee and White Chocolate Cherry Cheesecake to die for. Followed by retail therapy. We actually didn’t buy a lot, but we did a lot of window shopping. Posted on April 23, 2016, in Misc and tagged Author, Caregiver, Disability, Doggoned, Home, Life, Love, Multiple Sclerosis, Writer. Bookmark the permalink. Leave a comment.